Need to edit a current job ad or make changes to an ad you've reopened? You're just a few clicks away from making it happen! 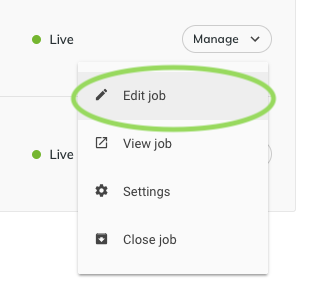 From your main WizeHire dashboard, click 'Manage' to the right of the job you'd like to edit. 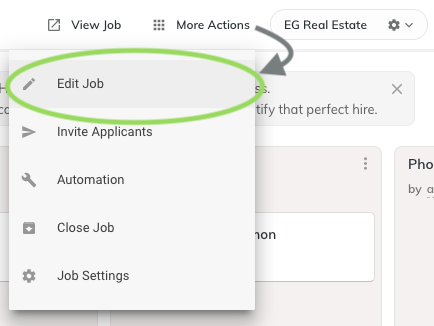 Click 'Edit job' from the drop down menu.